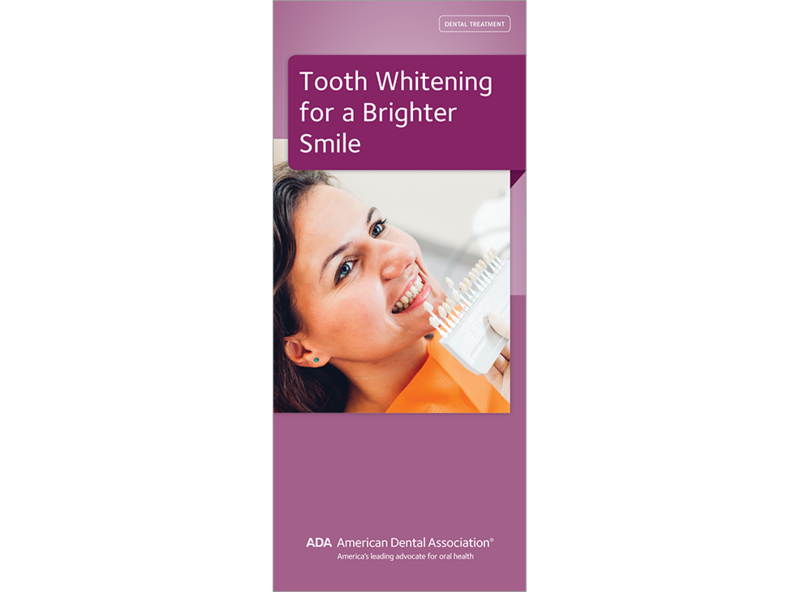 Make whitening choices accessible and easy to understand with this handy brochure. It gives an overview of whitening toothpastes, home-use whitening, and in-office whitening. Explains the merits of each as well as possible side effects. Touches on the limitations of whitening and states that there is such a thing as too much whitening. With dramatic before-and-after photos. 6-panel brochure, pack of 50.